Switch to solar panels and produce hot water all year round at a fraction of your current energy costs. 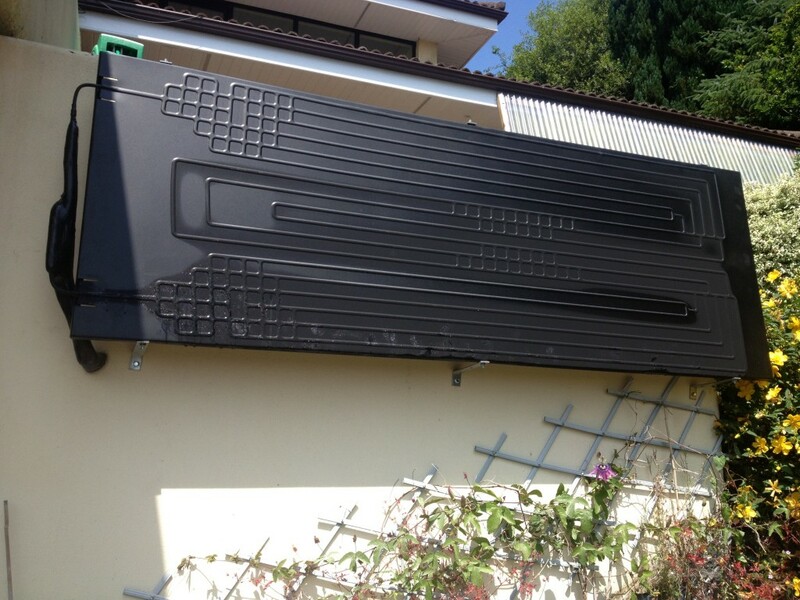 Thermodynamic solar panels are the next generation of solar panels. They don’t require sunlight and are perfect for the Irish climate. Thermodynamic solar panels differ from traditional solar panels as they don’t require sunlight to work. In fact, the system will produce hot water in virtually every weather condition and even during the night. The system allows for readily available hot water throughout the year. All this is possible from just one single panel (pictured below) which can be mounted on your roof or wall. It generates hot water by gathering energy from the environment as opposed to needing direct sunlight like traditional solar panels. The panel is lightweight, durable and will not obstruct your premises whatsoever. Thermodynamic solar differs from traditional solar as it does not need sunlight to work. This means that our systems will keep working during any weather condition and even at night. The system will provide you with all your hot water needs even if it snowing. They are ideal for the Irish climate. The Energiepac system is a thermodynamic water heater which uses a combination of a solar collector and a heat pump. It uses a thermodynamic panel (evaporator) to absorb energy from the atmosphere. The energy is brought back down to a heat exchanger (condenser) and in turn heats your water. 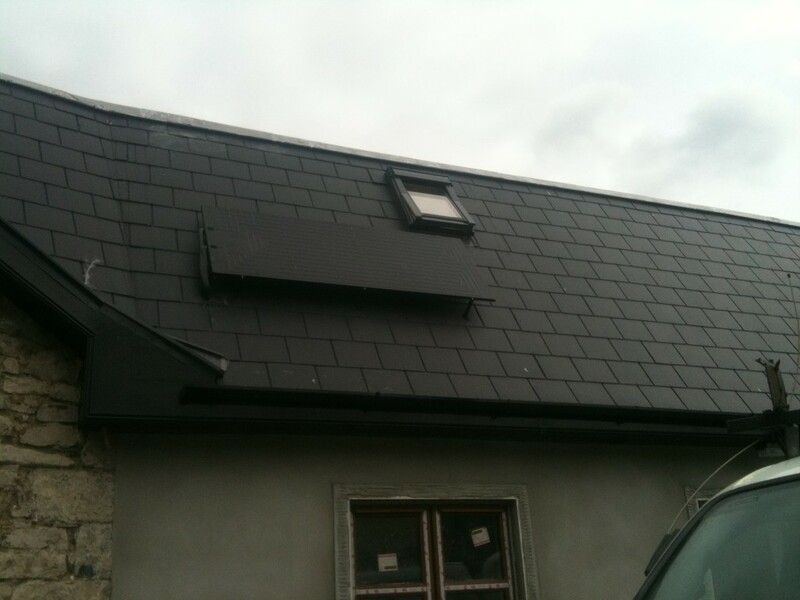 It can operate all year in any weather condition and is ideally suited for the Irish climate. 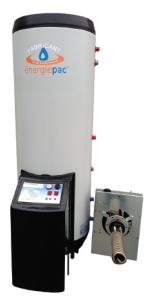 The full system consists of a cylinder with a compressor and a panel. The cylinder is available in multiple sizes to suit your needs and the panel can be roof or wall mounted. 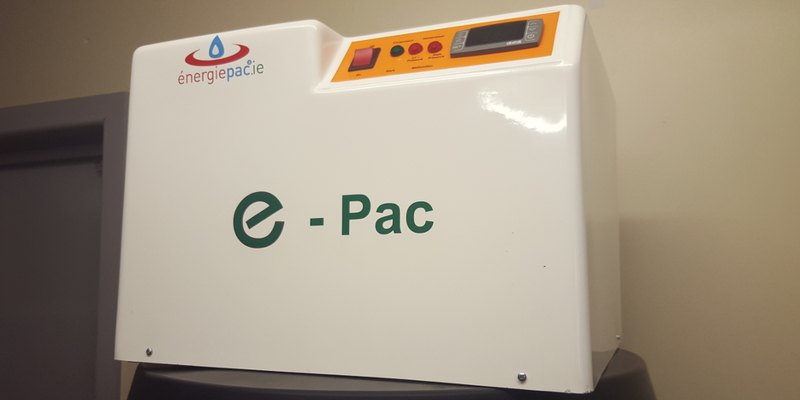 If you already have a cylinder installed and are looking to get solar panels then the E-Pac unit is for you. It is an Irish designed unit for use with existing copper or stainless steel cylinders. This unique unit can be fitted in your existing hot press area or attic space and will work with the existing coil on your cylinder. It is plumbed by use of a flow and return heating circuit between the unit and your cylinder. 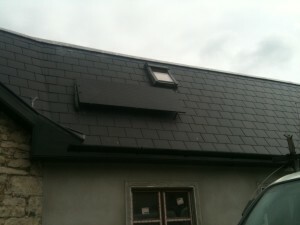 This system consists of just the unit and a panel(roof or wall mounted). There is no need to replace your cylinder if it suits. This unit is a complete heating solution and can provide 100% of your hot water needs all year round.